The folks at TechRadar posted a couple of new LG G7 photos today, giving us yet another look at the upcoming notch boss. 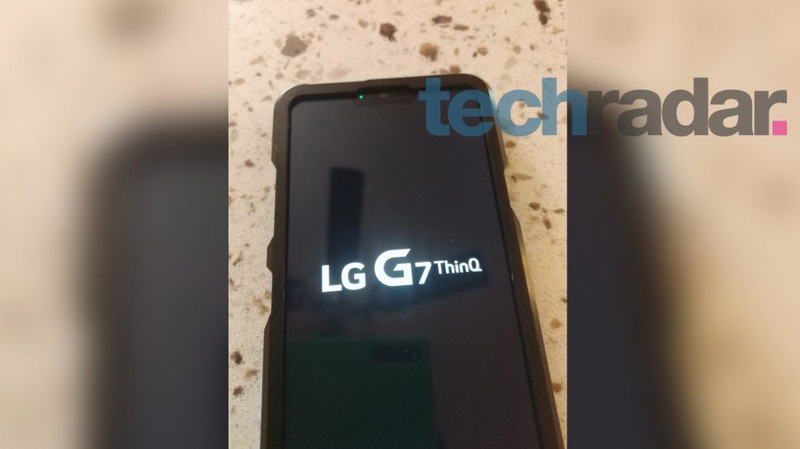 We don’t actually learn anything dramatically new from these pictures, but we are getting to see “LG G7 ThinQ” branding from the boot screen, which is branding we all expected to be there after watching LG talk non-stop about ThinQ back at CES. They even branded the LG V30 with ThinQ and then decided to re-sell it. ThinQ, for those not familiar, is LG’s marketing term for the artificial intelligence (AI) they are putting in all products. 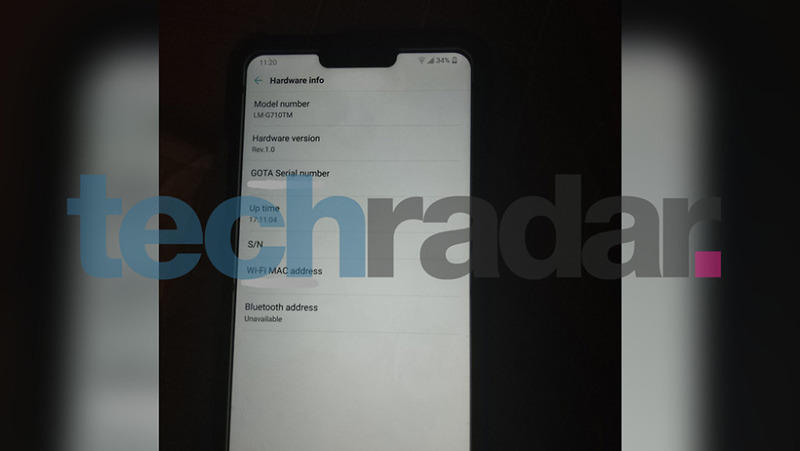 We also get to see a model number of LM-G710TM for the G7, clock move to the left side like Apple and Android P do it, and cutouts in a case that suggest there really will be a side button for AI. TechRadar adds that the phone runs Qualcomm’s Snapdragon 845 with 4GB RAM and 64GB storage. LG still hasn’t talked much about future plans, but current reports peg the LG G7 unveiling for sometime in May.